Garbage fly and an ant feeding from a wild parsnip umbel. 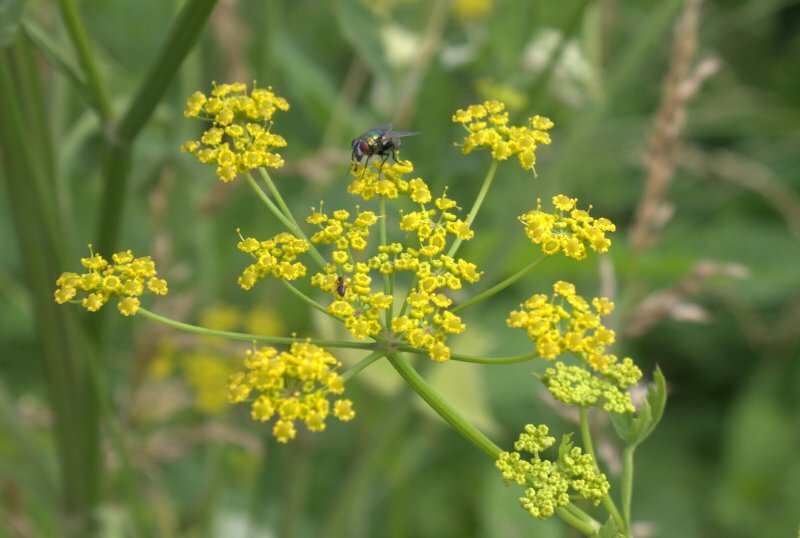 A fly and sweat bee feeding from a wild parsnip umbel. 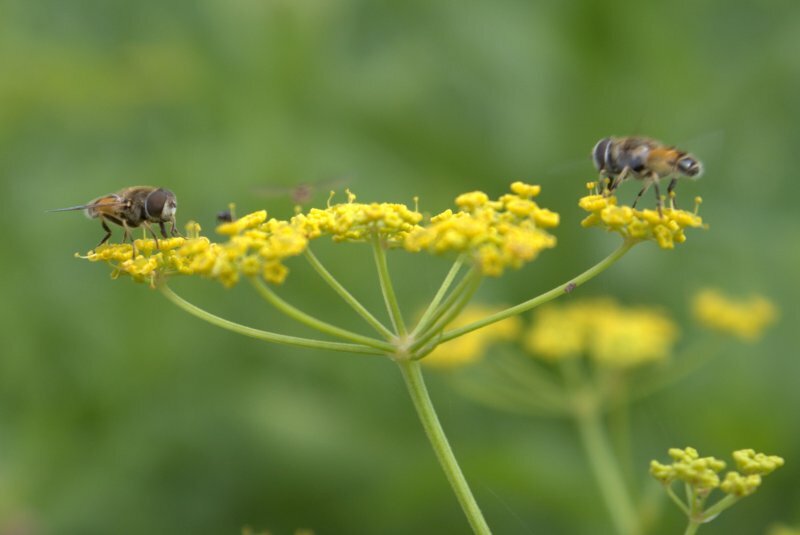 Flies on a wild parsnip flower. 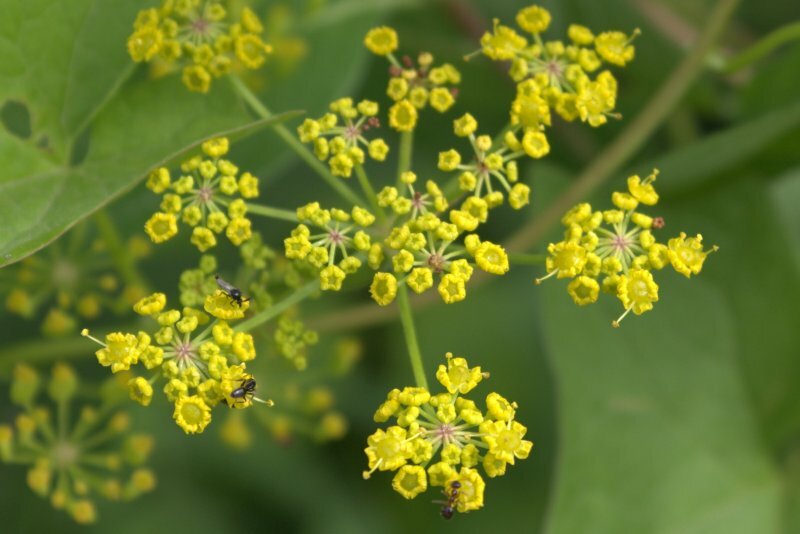 Mosquito and ants on a wild parsnip flower. 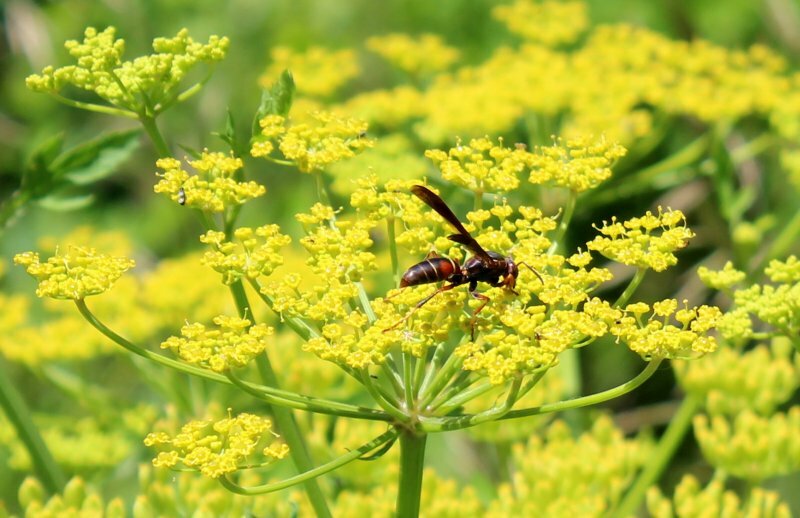 Wasp on a wild parsnip flower. 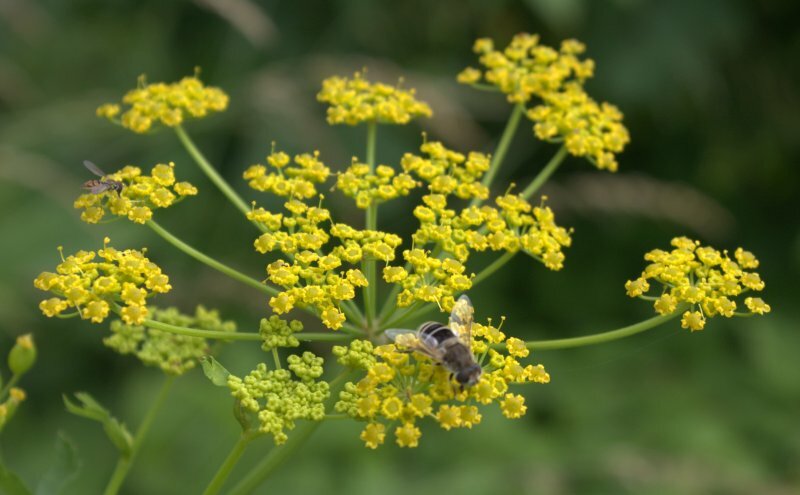 Insects on the tiny florets of the compound umbels were diverse. Usually there may be a couple of different pollinators or feeders present when I’m taking pictures, but not this many different kinds of insects. Perhaps the parsnips pollen is especially rich. 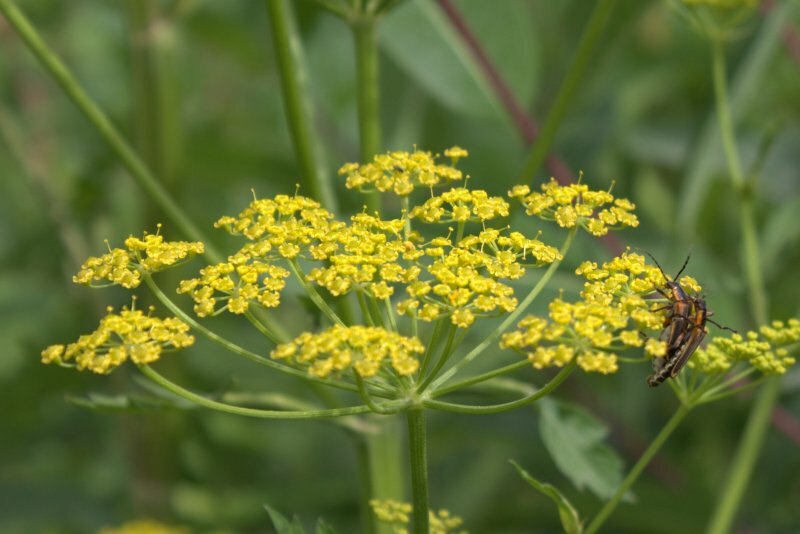 The wild parsnip plants were quite abundant and that’s most likely the real reason so many insects were there – they were taking advantage of a plentiful food source.